I will never say no to any dessert made from sticky rice or sticky rice flour. 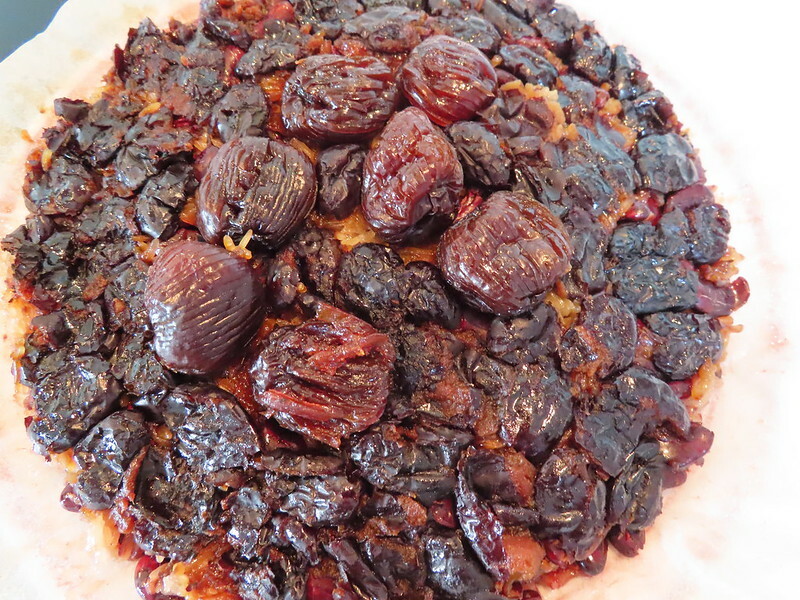 This cake is from Xi’an. It became popular recently due to a Chinese TV drama. The Chinese name 甑糕 actually should be pronounced as “Zeng Gao”, however, people from Shan’an Xi called it Jing Gao. 甑 is an ancient earthen utensil for steaming rice. 糕 means cake. Well, I have to say this kind of sticky rice cake is really time-consuming in both preparation and cooking. Soak sticky rice and red kidney beans in water for overnight. Dried date also need to be soaked for a while. Then cut them into halves and remove the cores. And do the same to honey red dates. I added honey red dates just wanted to add sweet taste to the cake. If you want it to be very sweet, you ca also add sugar to the sticky rice when steaming them. I was kind of lazy. Fortunately, dried red dated I have are already core-removed. I just need to cut them. And I did nothing to the honey dates and just put them in as a whole. Prepare a big bowl. Brush bowl with oil or you can just do what I did, to use parchment paper. The bottom layer is 1/3 sticky rice. Then 1/2 red kidne beans. Then 1/3 sticky rice. Followed by 1/2 red kidney beans. 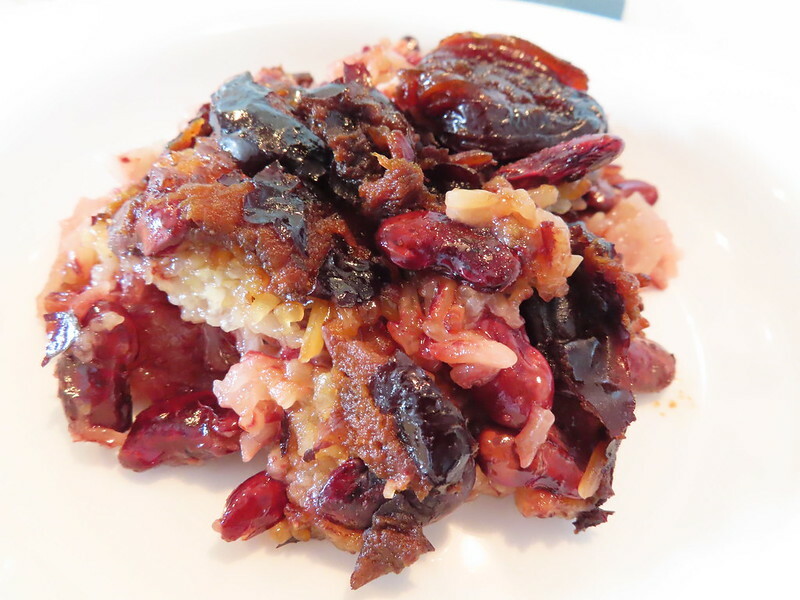 Then the rest 1/3 sticky rice and topped with red dates & honey dates. You can arrange the layer as you like. 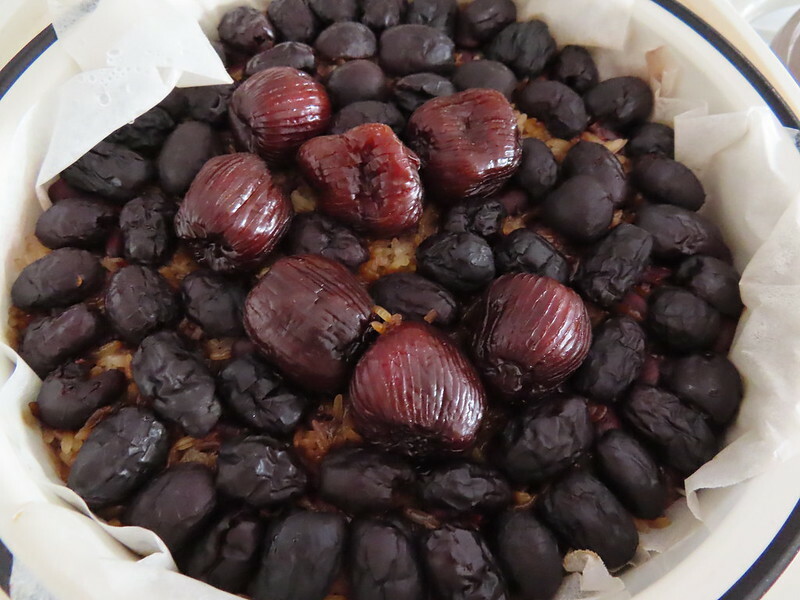 But make sure the bottom is sticky rice and the top is red dates. 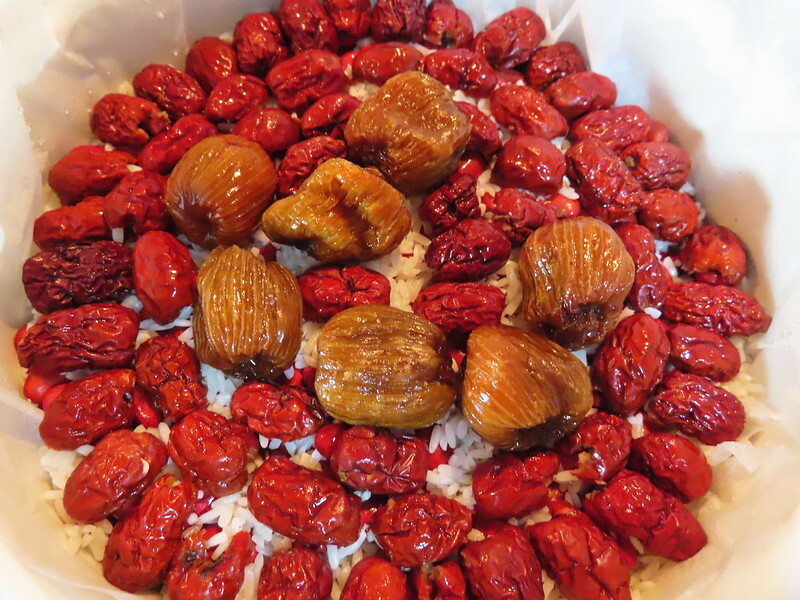 Then add water into the bowl, just equally high to the red dates. Steam for 3 hours. I steamed it for 4 hours. I read online that authentic Jing Gao should be steamed overnight with low heat. A pressure cooker will make it much easier. After steaming, don’t open the lid immediately. Let it stay for 15 mins. Use the back of a spoon to press the red dates and mash them. Red kidney beans are very soft and smooth. My husband said it tastes like sweet Lor Mai Gai. 🙂 But still, he loves it. I love it very much too.